We would like to prove to you that our Spanish school, in the heart of Madrid, offers a little bit of magic when learning Spanish. We got accreditation from the Instituto Cervantes at the beginning of 2014. This is the highest accreditation for a Spanish school and it’s recognized worldwide. This guarantees the quality of the services we offer. Unlike other schools, we have a maximum of 6 people per group in most of our courses, which means that the classes are very personalized and students get a lot of attention from the teacher. We are the only school in Madrid that offers such a high quality for this price. We offer a wide range of courses such as intensive, semi-intensive, part time and lessons via Skype, our Spanish courses and classes are here to help you take the necessary steps to achieve your goals! 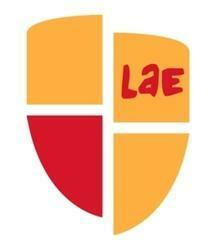 Intensive Spanish Course with LAE Madrid School. We are located in Madrid city centre, we offer intensive Spanish in small groups (no more than 6 students) along with interesting Spanish Adventure program (indoor or outdoor cultural activities). Confidence to Communicate lesson is also included to teach you how to talk like a real madrileño.When you successfully complete 80% of our Intensive course, you will receive a certificate issued by the school. This Spanish course is oriented for the DELE exam preparation (Diploma of Spanish as a Foreign Language). If you are interested in taking the DELE exam you can prepare with us at the level at which you want to practice. The course is designed to prepare you for the exam, and in the classes, you will revise past examination papers and learn tips and techniques for taking the exam. We offer a course in Business Spanish for people that already have a good ski of Spanish who want to get to know the Business world. You will have 4 hours per day of individual classes, and this class will take place within the hours the student prefers. Aditionally this course includes two networking events and daily meal with the professor. Keep improving your Spanish with our Spanish Skype lessons! Thanks to our individual Spanish classes you can keep improving your Spanish from the comfort of your home or office. The individual sessions last 30 minutes, and they are easily adapted to your schedule and obligations.The call lasts 25 minutes, the professor spends the last 5 minutes to correct your exercises and write comments. We all know that Spanish is widely used across the entire world. So not surprisingly, Spanish is very useful to know. Many students want to have their own internship experience in Madrid, the capital metropolis and Spain. This course consists of 4 weeks long Spanish intensive course, preparation for the interview, 8 weeks long internship, assessment and certificate at the end of the program. Individual Spanish classes are a great idea, which is why we have devised the ‘Power Hour’ sessions. We highly recommend that our students take at least 1-2 individual Spanish classes per week because it gives you the boost to make more progress in your group classes. The teacher can revise any areas that you feel you need a little extra guidance on like grammar, oral or listening. Hola, me llamo Sichao, soy de China. Llevo tiempo estudiando español en la escuela La Aventura Española y me ha gustado mucho. En primer lugar, la escuela está situada en el centro de Madrid, para extranjeros es una gran ventaja porque así es muy fácil explorar la ciudad. Para continuar, para una escuela de éxito, contar con un equipo de profesores entusiásticos y profesionales es de mayor importancia. Los dos profesores que me han dado clases son muy simpáticos; además, se dedican mucho tiempo a preparar materiales, siempre presentan cosas nuevas y me dan nuevos retos constantemente para mejorar la gramática, el vocabulario, etc. Aparte de todo eso, gracias a los grupos pequeños, los estudiantes tenemos muchas oportunidades de comunicarnos con los profesores. En vez de esperar tu turno, el profesor te habla y así se da cuenta de lo que necesita cada uno. Por último, lo que me llama más atención es el eslogan de la escuela: seriously fun Spanish classes, lo cual significa ¨clases muy divertidas¨. Es verdad porque en las clases de LAE Madrid siempre se integran juegos y actividades interactivas. Nos pasamos muy bien en la clase y el tiempo vuela, ¡muchas veces espero tener más tiempo!